Maritimo Offshore are an Australian based team and previously ran under the Riviera Racing Banner. They made their international Class 1 debut in 1997 with Bill Barry-Cotter and Keith Hanson. The team had a massive upturn in fortunes in 2002. Peter McGrath joined Bill in the cockpit and the pair took 3 podiums and their maiden win in Doha. The team also competed in the 2003 Class 1 appearing on the podium five times and taking 3rd in the Championship. 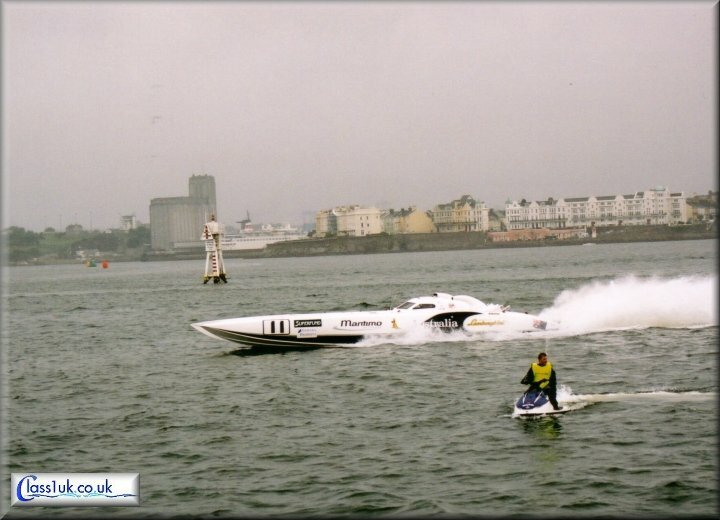 In 2004 they decided to compete in the Australian Class 1 powerboat championship, successfully winning the title. The team returned to the international Class 1 circuit in 2005, but a massive fallout with the officials concerning rule changes during the season saw the team withdraw. The team continues to dominate the Australian powerboat scene having taken 6 national titles.